Psychology is very often, by many, seen as the study and treatment of mental problems; it is seen as a field of study that deals with abnormal behavior and psychological problems. However, initially, psychology had no association with mental illness and disorders. This aspect of psychology emerged much later. Modern psychology began in 1879, with the establishment of Wundt’s laboratory at Leipzig. Psychology then, and for many years later, was the study of conscious experiences and its aim was to understand basic human processes. The major topics of study were sensation, perception, memory, and learning. In 1892, when the American Psychological Association (APA) was established, psychology was regarded as an academic discipline with its roots in experimentation and was considered to be a field of study based only on research. With the formation of the APA, psychology was said to be firmly established as a distinct discipline. Psychology was regarded as a scientific, research based discipline as in the beginning of modern psychology, and psychologists were even then mainly concerned with sensation, perception, and dimensions of the mind. It was only in 1896, seventeen years after the beginning of modern psychology and four years after the formation of the APA that psychology began to be concerned with mental disorders. The year 1896 is regarded as the birth of clinical psychology – the area of psychology concerned with the diagnosis and treatment of psychological disorders. The opening of the first psychological clinic, in 1896, by Lightner Witmer, at the University of Pennsylvania, is regarded as the formal beginning of clinical psychology. After completing his PhD under Wilhelm Wundt, Witmer returned to the University of Pennsylvania and became the director of the psychology laboratory. While doing research, he was always very keen of using the basic principles of human behavior to help individuals with their difficulties. In 1896, a teacher consulted Witmer about the problems her student was facing in school. Witmer organized a make shift clinic and after assessing the student’s problem, he developed a specific treatment program. He found that the child had difficulty in spelling, reading, and memory, and recommended tutoring, which later proved to be a successful intervention. 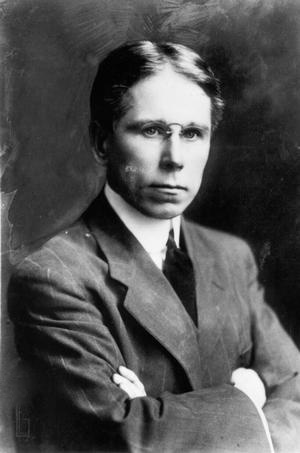 Witmer, thus, became the first psychologist to use his understanding of the principles of human behavior to help an individual with a particular problem. Within a few months, Witmer was preparing courses on methods for treating mentally defective, blind, and disturbed children. Later, in the same year, Witmer presented a paper at the annual meeting of APA in which he described his methods of diagnosis and treatment. It was here that he used the term clinical psychology for the first time. He also proposed that a psychological clinic could be devoted to diagnosis and evaluation, individual treatment, public service, research, and the training of students. By 1904, the University of Pennsylvania began offering formal courses in clinical psychology and Witmer went on to offer the first college course on clinical psychology. In 1907, Witmer founded the journal Psychological Clinic, which became the first journal in the field. For many years, this was the only journal for clinical psychology. In the first issue of the journal, Witmer proposed a new application of psychology and a new profession to be called clinical psychology. The following year, he established a boarding school for retarded and disturbed children, and in 1909 his university clinic expanded and was established as a separate administrative unit. Witmer independently developed his psychological clinic at the University of Pennsylvania along with programs to assist children with primarily school related difficulties and challenges. Teachers began sending to Witmer’s new clinic many other children with a broad range of deficiencies and problems, which included hyperactivity, learning disabilities, and poor speech and motor development. As his experience with these problems increased, Witmer developed standard programs of assessment and treatment. A number of psychologists followed Witmer’s example, and within a few years many psychological clinics opened. All these clinics were patterned on Witmer’s clinic. Many of the principles that Witmer developed in his psychological clinic are still used today - he favored a diagnostic evaluation prior to offering treatment procedures and services, he favored a multidisciplinary team approach instead of individual consultation, he used interventions and diagnostic strategies based on research evidence, and, he was interested in preventing problems before they emerged. Therefore, clinical psychology, the area of psychology devoted to the diagnosis and treatment of abnormal behavior and psychological disorders began in 1896. This was the first time a psychologist used the understanding of basic processes in order to treat abnormal behavior. A year before the birth of clinical psychology, abnormal behavior, which was only studied in psychiatry, became a part of psychology, due to the beginning of the classical school of psychology called Psychoanalysis. In his career as a neurologist, Sigmund Freud, the founder of psychoanalysis, realized that many of his patients had neurological problems without any organic pathology. Freud found that the neurological symptoms of his patients were caused by hysteria, which was due to an emotional conflict that individuals might be suffering from. This emotional conflict, according to Freud was due to painful childhood memories, forbidden sexual wishes, or forbidden aggressive wishes that were hidden in the unconscious mind of the individuals. When not resolved, this emotional conflict gets manifested as neurological symptoms. It was this realization that led Freud towards the founding of psychoanalysis. In 1895, Freud collaborated with his colleague and mentor Joseph Breuer in the publication of the book Studies on Hysteria. The book was about the description of the cases of hysteria that they had treated. The publication of this book is said to be the beginning of psychoanalysis – a system of psychological theory and therapy that aims to understand and treat mental illness by investigating the unconscious elements of the mind. 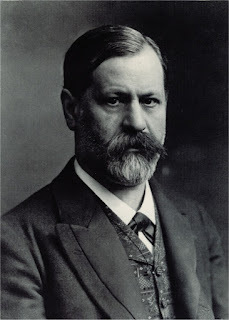 After separating from Breuer, Freud further developed his theory with the publication of his books The Interpretation of Dreams, in 1900, and The Psychopathology of Everyday Life, in 1901. Freud majorly used the techniques of free association and dream analysis for treating his patients. In free association, the patient lies on a couch and is encouraged to talk openly and spontaneously, giving complete expression to every idea, no matter how embarrassing, unimportant, or foolish it may seem. Such thoughts were often jumbled and fragmentary, with no apparent patterns. However, Freud would gradually see a pattern emerge, which resulted in a highly emotional recall of forgotten events. These events, according to Freud were repressed in the unconscious mind of the patient and were only revealed in the conscious awareness due to free association. This recall of repressed memories and events would help the patients to be treated of their emotional trauma. Freud also analysed the dreams (dream analysis) of his patients. He believed that dreams represent a disguised satisfaction of repressed desires and that the essence of a dream is wish fulfilment. Freud believed that when patients described their dreams, their forbidden desires (the latent dream content) are expressed only in symbolic form. This revealing of forbidden desires of his patients helped him in their treatment. Freud used clinical observations as his primary data. He was a gifted observer and heavily relied on clinical data. He derived his theory from the experiences he had with his patients in his clinic. Freud also believed that normal and abnormal behavior can be seen in continuity. According to him normality and abnormality differed only in terms of degree and not in type; and thus, had a humane approach towards mental illness. Among all the classic schools of psychology, Psychoanalysis is the only one that made its aim to improve the mental health of an individual. Freud’s psychoanalytic theory, according to which behavior is guided by the unconscious forces of the mind, was the first comprehensive theory of personality. The ideas of Freud became very crucial to the development of clinical psychology. It moved the field far beyond its origins in Witmer’s clinic. Psychologists were fascinated with Freud’s work and his ideas provided clinical psychologists with their first psychological techniques of therapy. Therefore, in 1895, sixteen years after the beginning of modern psychology, with the formation and rise of psychoanalysis, the study of abnormal behavior which was only a part of psychiatry had also become a part of psychology. Psychology, even though popularly seen as synonymous with the study and treatment of abnormal behavior, initially had no association with it. Modern psychology began as a scientific, research-based field to understand general, normal basic human processes. It was a good sixteen to seventeen years after the beginning of modern psychology that abnormal behavior was included as a part of psychology. Before this, abnormal behavior was only a part of psychiatry.